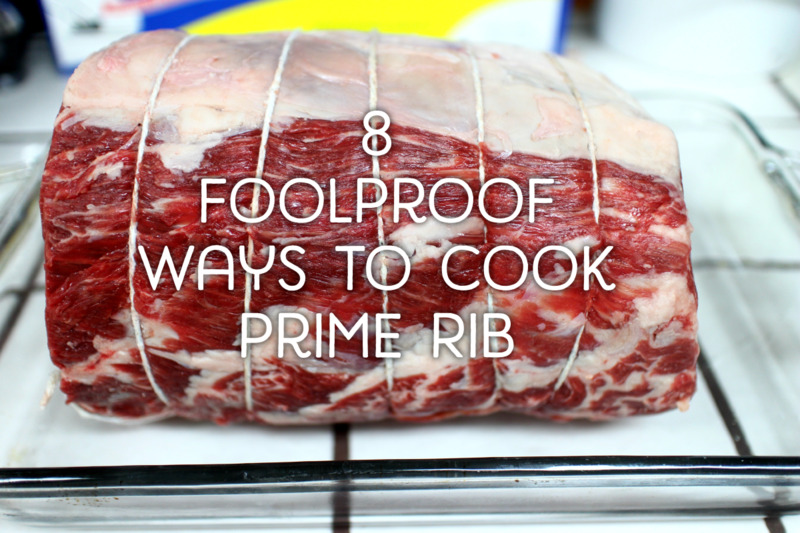 Rib roast and prime rib are the same cut of beef, but the word prime refers to the quality of the beef. 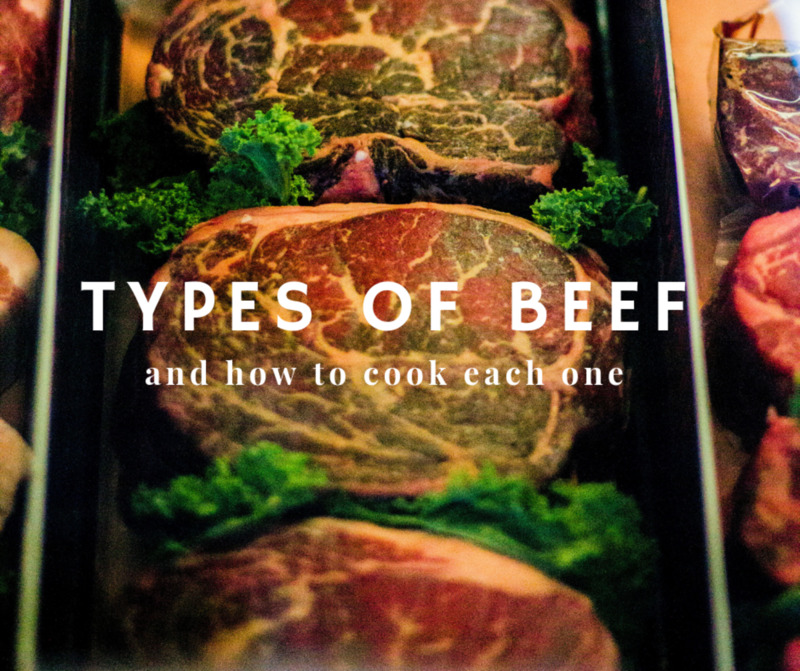 Prime is the highest rated beef. 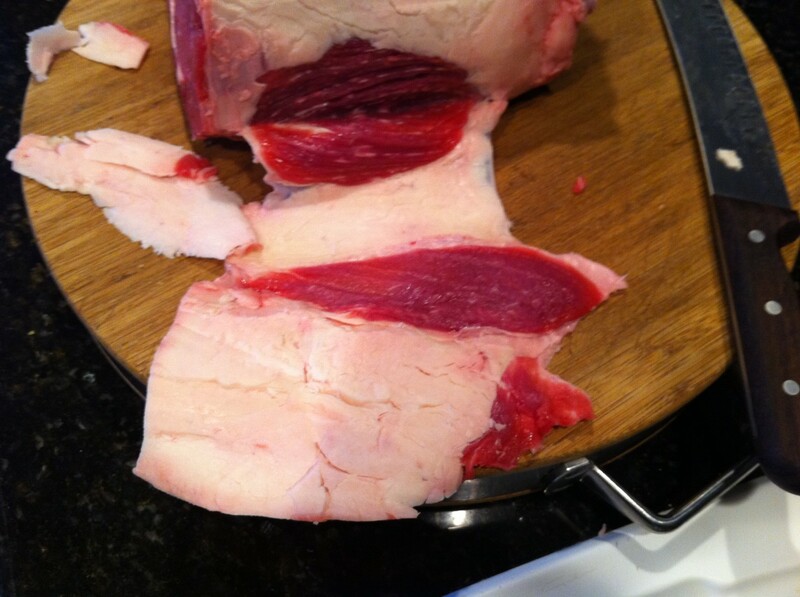 When I barbecue rib roast, I select a rib roast that has the bone on and I go with choice graded beef. Choice is less expensive, but still great quality. Around the holidays, Costco carries rib roasts and prime rib. 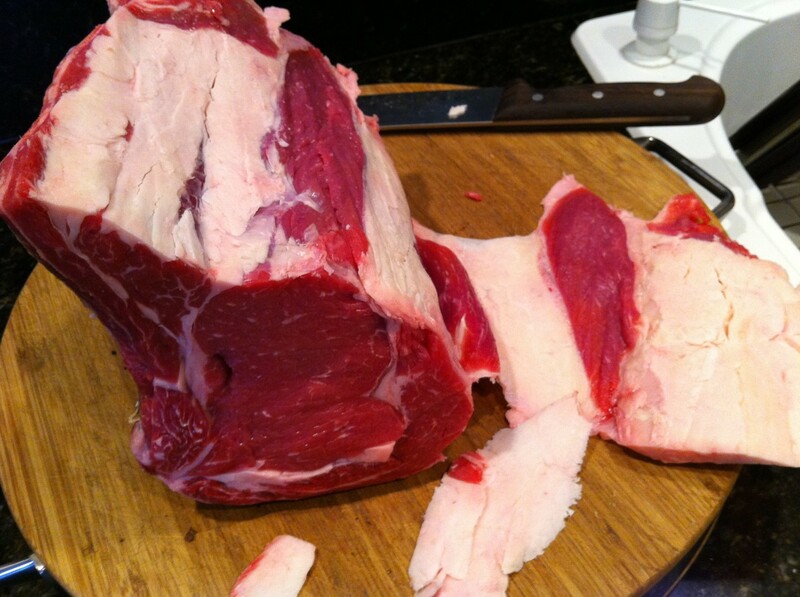 Choice rib roast is about $10 a pound and Prime rib roast is over $15 per pound. 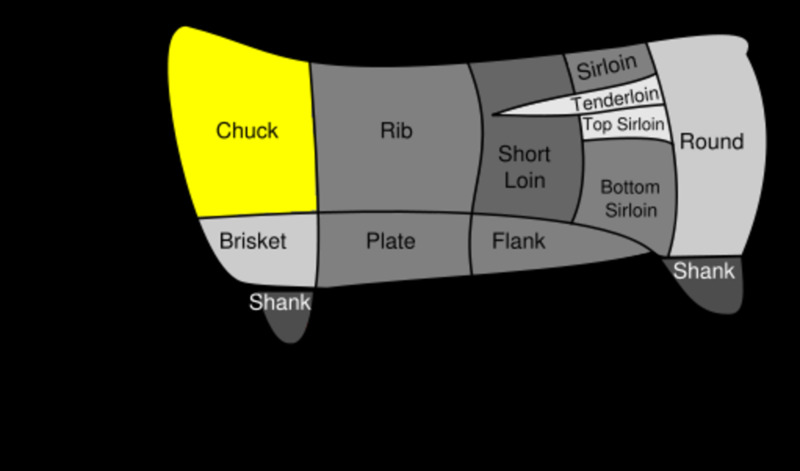 Rib roasts are large pieces of meat. 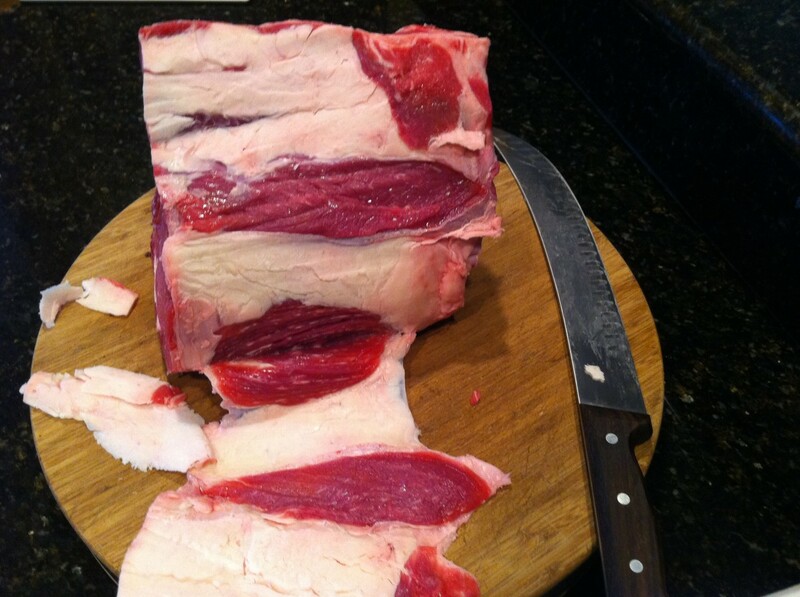 In this example we have a rib roast that has three ribs and weighs about 8 pounds. We always grill meat at room temperature. This requires that the roast is set on the counter about two hours before grilling. 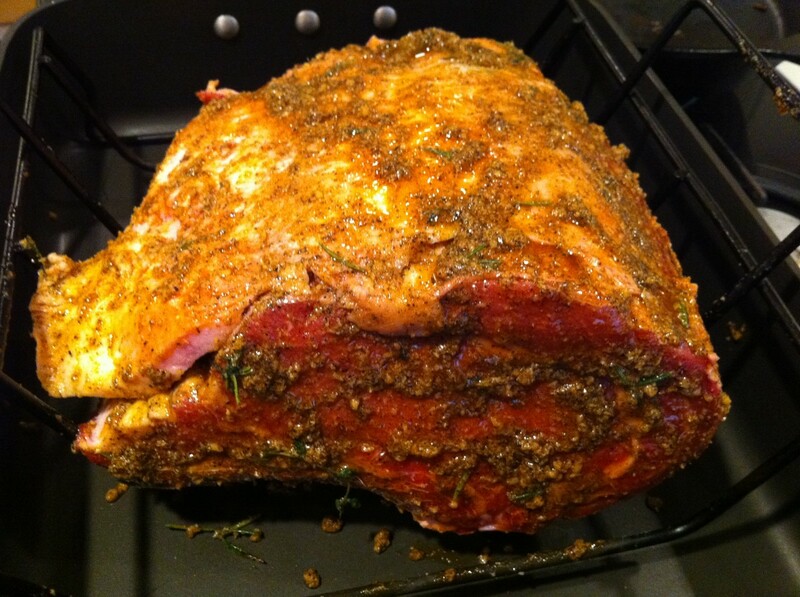 Grilling a cold rib roast will cook the outer layer much faster than the inside, drying the meat out and leaving the cook ashamed of such a silly mistake. Rib roasts have a wonderful layer of fat that caps the roast. 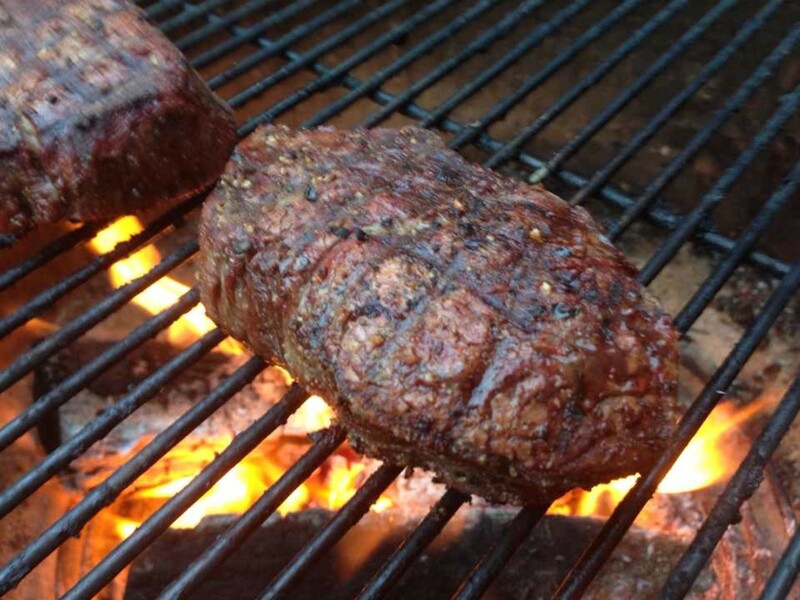 While the meat is on the grill, the fat will render and act as a basting agent. Take a large butchers knife and slice from the end of the ribs up the roast as close as possible to the meat creating a flap of fat still attached to the roast. This will allow us to add seasoning closer to the meat and have it marinated in while it cooks by the fat cap. There are tons of options for rubs on rib roasts. My favorite is a paste, but I'm often just as happy with a little olive oil and course salt. 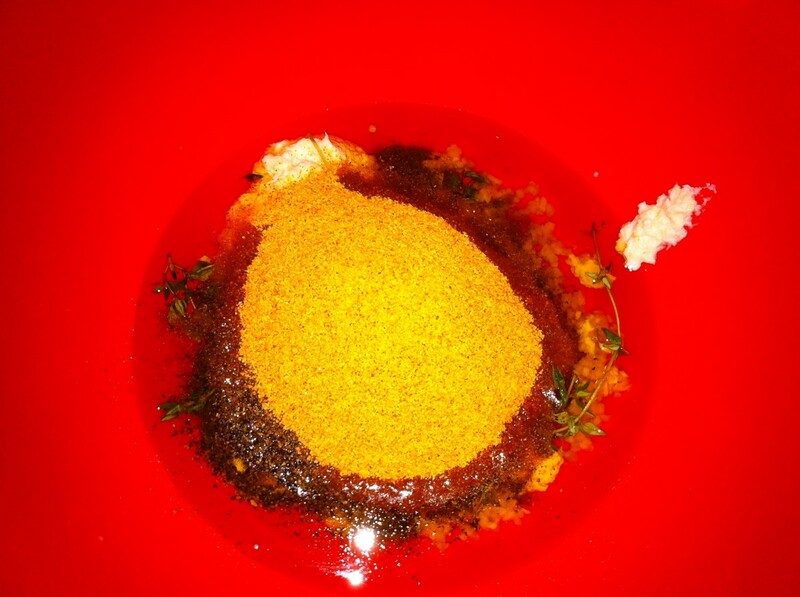 Place all the ingredients in a bowl and mash them together to make a thick paste. 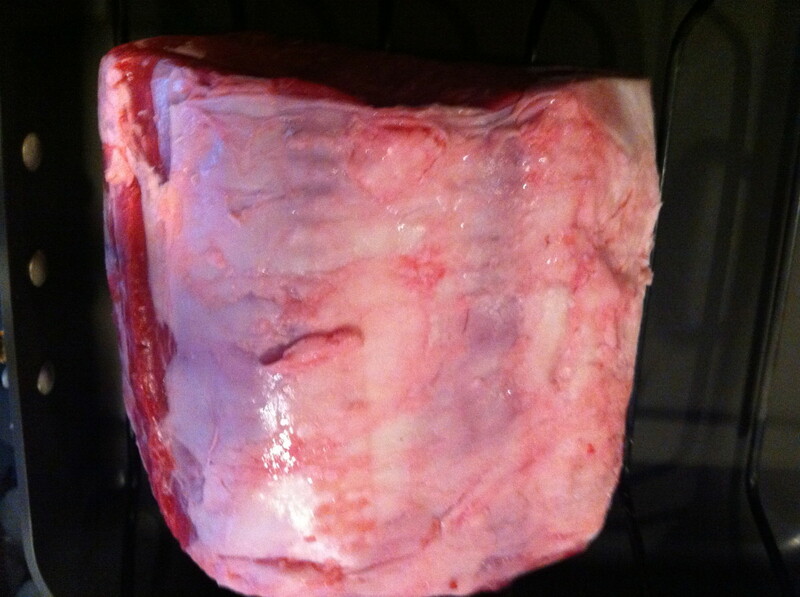 Using your hands, coat the entire roast and the area under the fat cap flap. Let sit for 20 to 30 minutes while heating the grill. Heat the grill to 375 degrees. Grill in a roasting pan to catch the drippings for gravy. 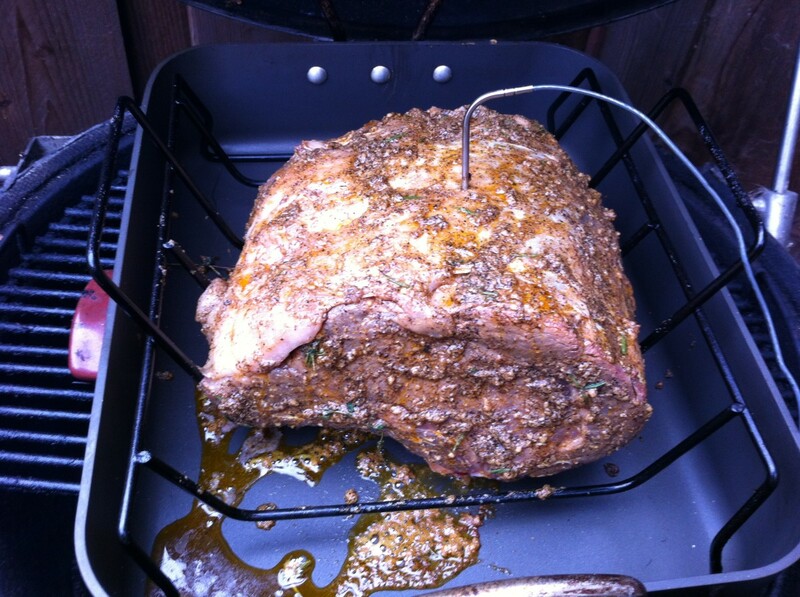 Charcoal: I recommend Lazzard's mesquite charcoal on a Kamado, but this recipe will work well on gas grills as well. Grilling technique: Set the grill up for indirect heat. I'll sometimes put a pizza stone down in addition to the roasting pan to deflect heat. 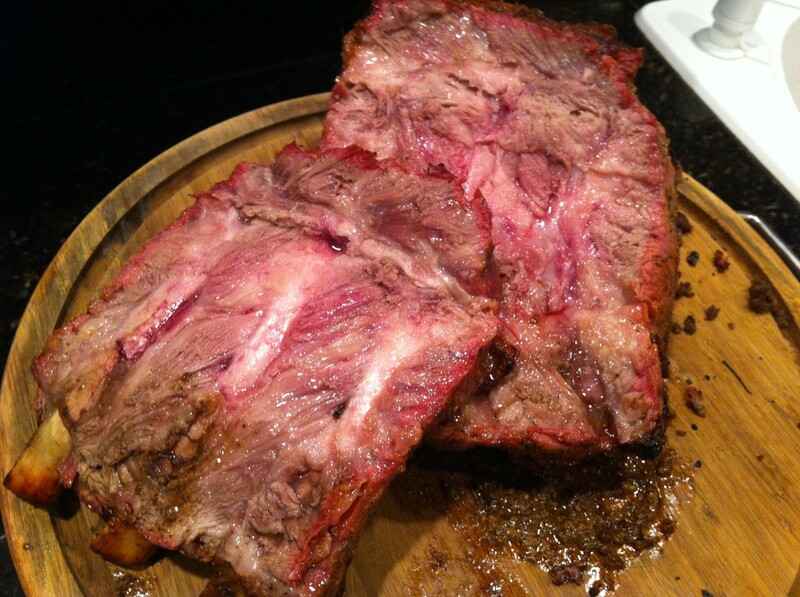 Rib roasts take about 20 minutes per pound to cook to medium rare at 350 to 375 degrees. 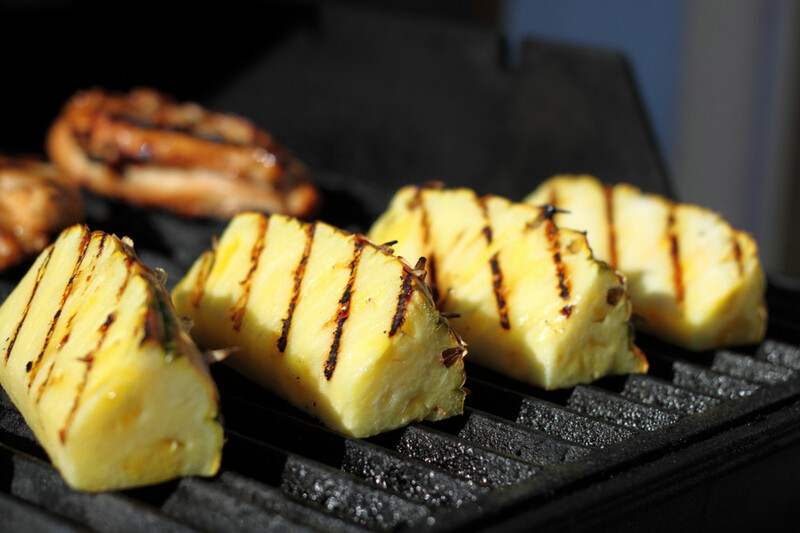 Preheat the grill to 375 degrees and insert a meat thermometer that is readable externally from the grill. 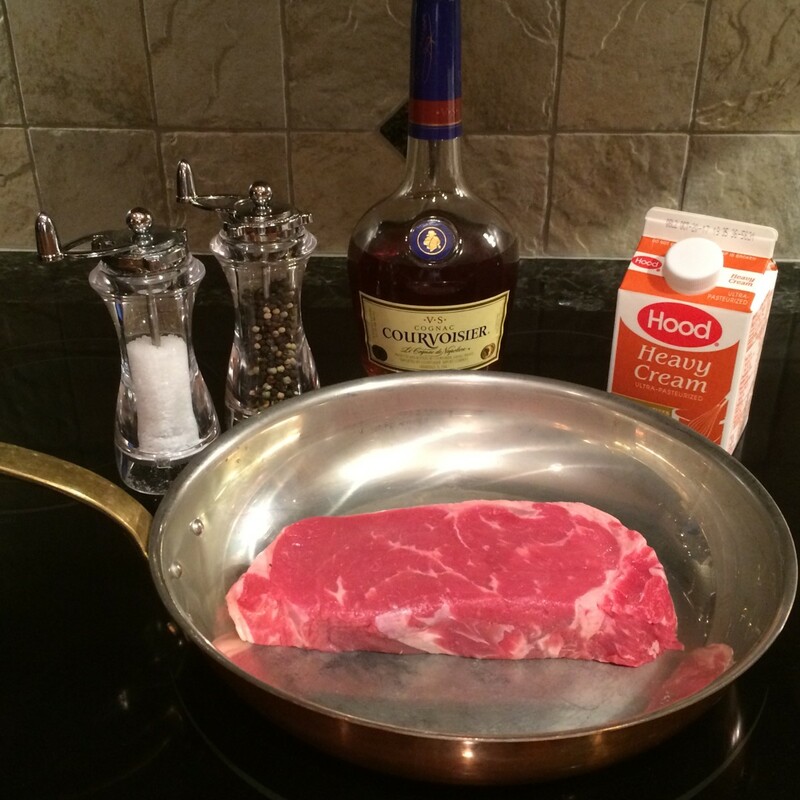 I use a meat thermometer that has about a 3 foot chord and a remote reader. Set the meat thermometer to 120 degrees. The worst thing that can happen to a beautiful piece of meat is over cooking it. Pulling the meat from the grill at 120 degrees will deliver perfect medium rare rib roast. 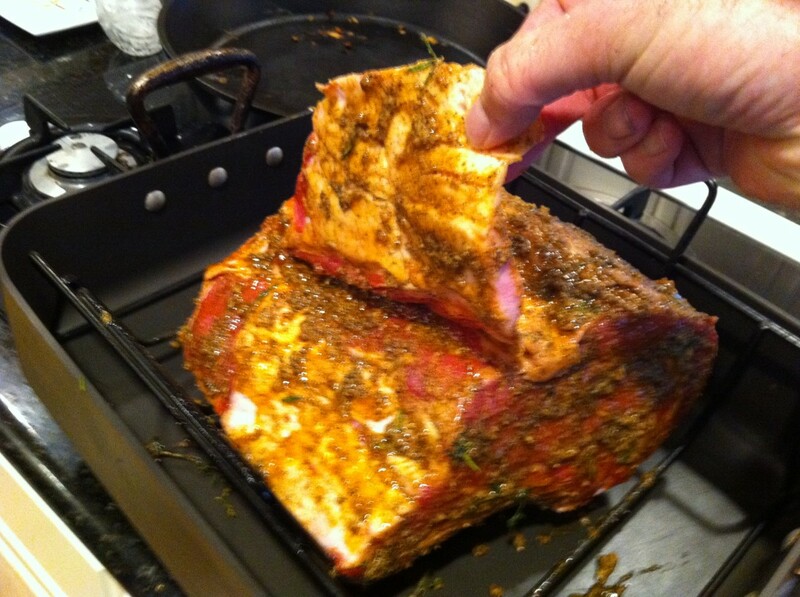 Since rib roasts are large, they hold heat and continue cooking once they are pulled from the grill. 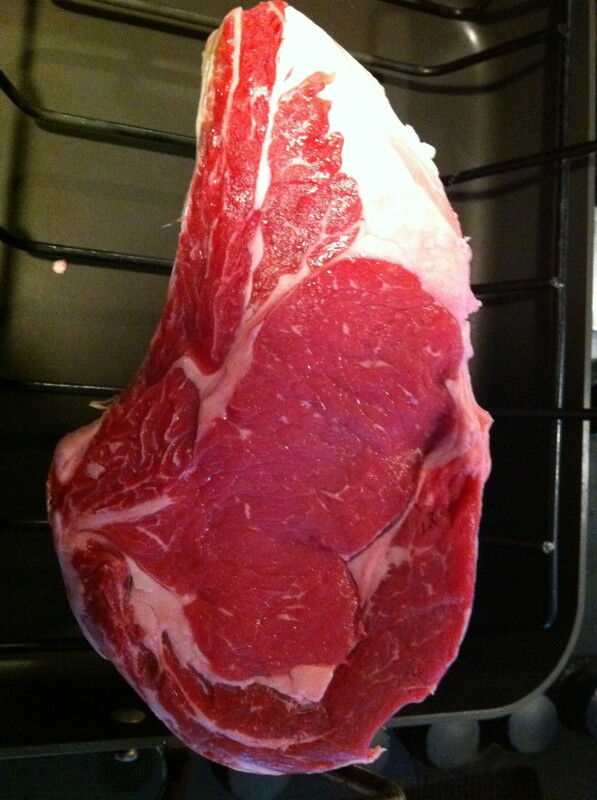 My rib roast rose ten degrees in less than 15 minutes once it was pulled from the grill. 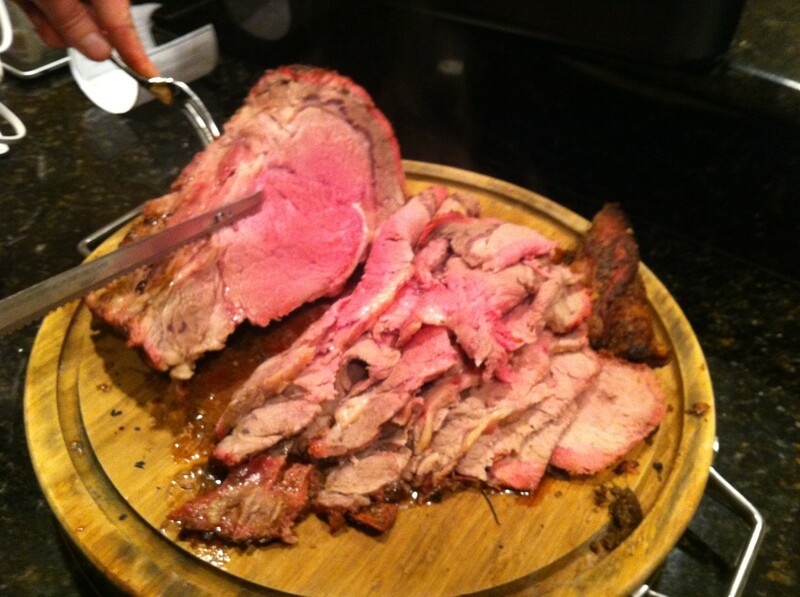 While the roast is resting, prepare to slice it in thin 1/4 slices of heaven. Step one, cut off the ribs with a large knife as close to the bones as possible. 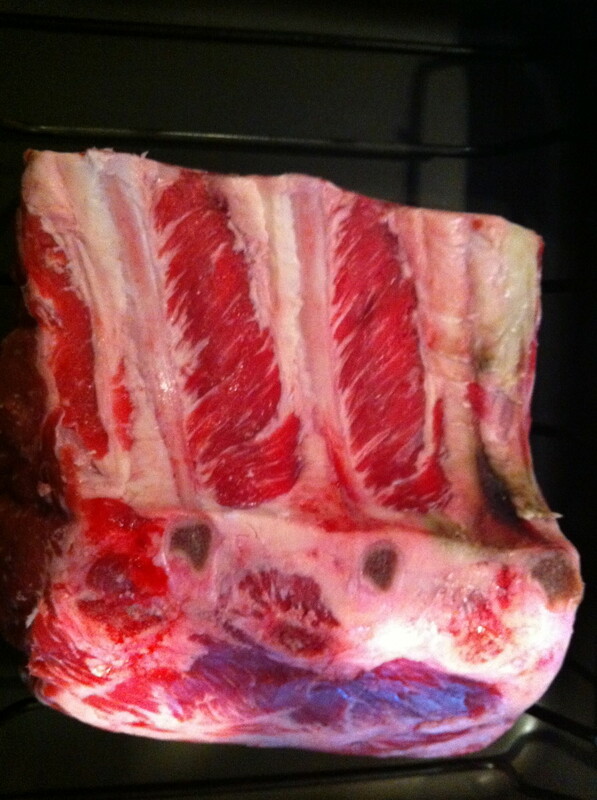 Then slice between each rib. The ribs are my favorite part of the roast. To slice the roast, I recommend an electric knife. 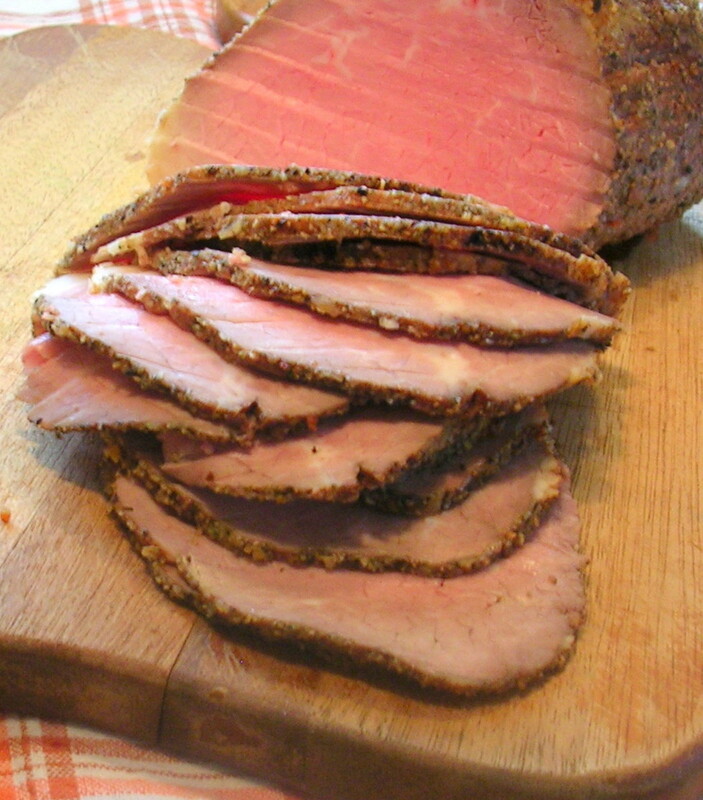 Roasts require quite a bit of slicing and using an electric knife makes it much easier. Going across the grain of the roast, slice 1/4 to 1/8 inch pieces. Try keeping the slices thin. This makes it easier to bite through in a left over sandwich! If you don't have time to make the horseradish version, this very simple recipe is among the most popular I know for large cuts of beef. Rub the roast in a three to five count of olive oil. 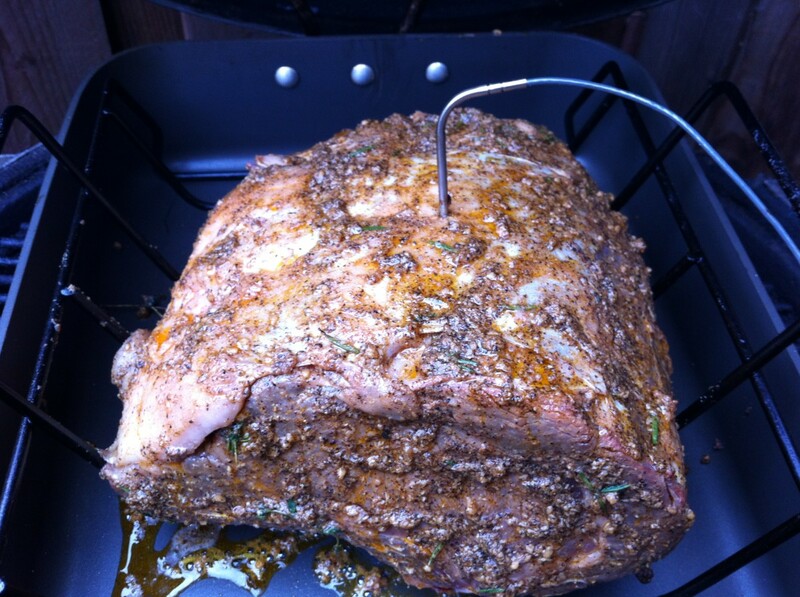 Then add garilic salt and fresh cracked pepper liberally to the rib roast. We use a generous amount of seasoning because a rib roast is sliced with a thin edge that dissipates the salt and pepper. Thanks for the tip about the meat temperature rising once it is removed from the heat to 'rest' - I love the horseradish and sour cream mix too! This is a great hub. I just ate and feel the need to bbq a prime rib. Okay, you had me drooling at the title, now I'm a complete mess. What a terrific recipe! That's really mouthwatering ! thanks for the recipe . Great recipe and a well written hub thank you. Living at Pismo Beach, about 30 miles from Santa Maria. I do enjoy their style of BBQ..! Enjoyed your hub! 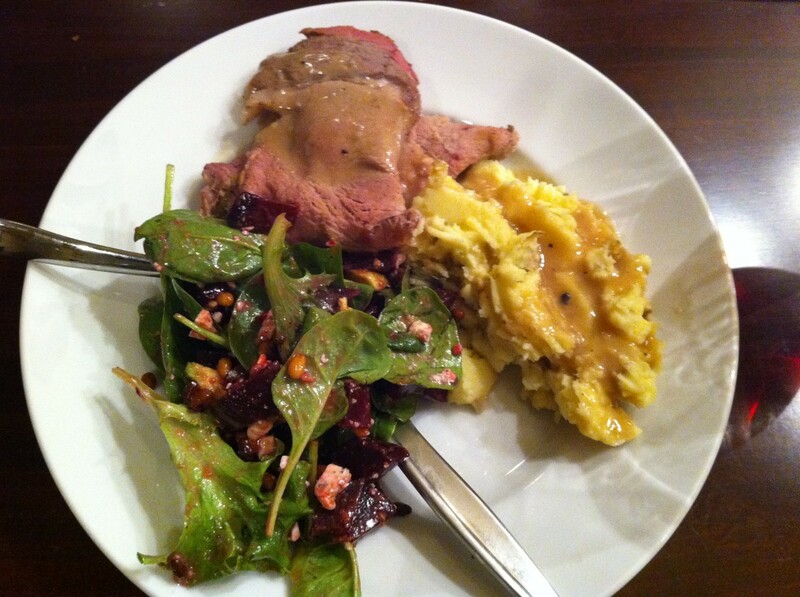 Paul, My mouth is watering because that roast looks fantastic. Thanks for a great idea and recipe. Thank you for your wonderful recipe. It was so well written that I could taste and smell it. I'm surprised it cooks so quickly. This is what I'll get for my son to cook for his wife's birthday. I think they'll like the sauce, too. Nothing is better then a good BBQed Rib. I will be trying it this week! Wow, this sounds so great! May I come to your house for dinner???? Ah, man, that sounds so good. 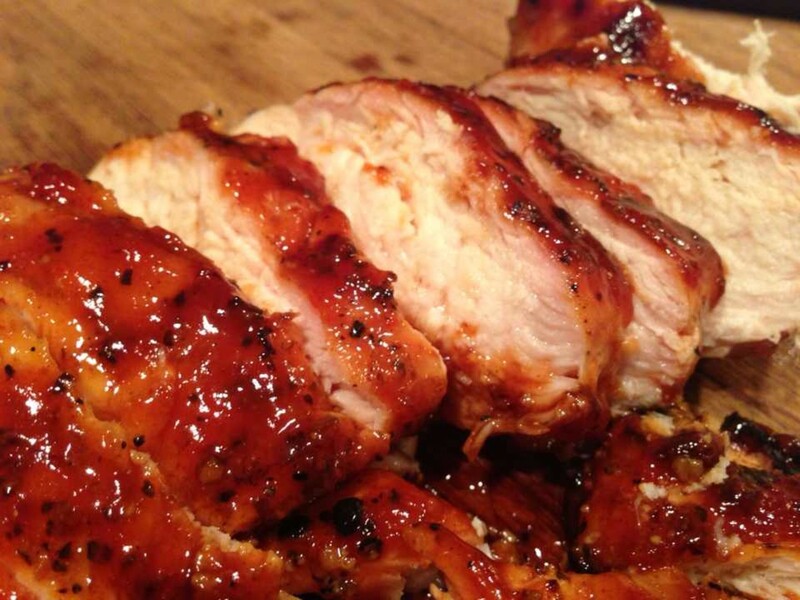 Is the end product any different from being bbqed on a Weber grill with oak wood chips?